I don’t know about you, but if I put one more dish made from leftover turkey in front of my family, there is going to be a mutiny! So tonight, I decided to barbeque. Now barbequing is usually thought of as a warm weather style of cooking and here in Northern California, it is far from warm in December! 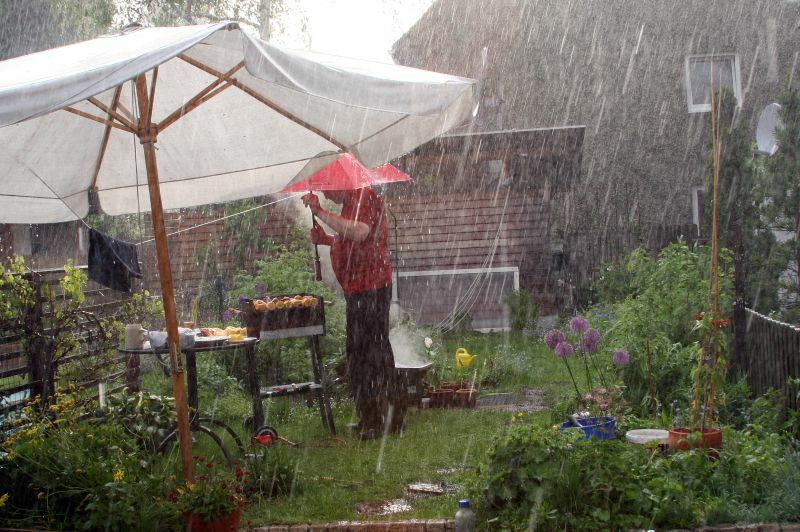 But since we have a covered patio, we cook out on the grill all year round. I not only love that I have fewer dishes when I prepare a meal on the barbeque, but I love that charred yummy-ness that the barbeque lends to a nice cut of meat. So tonight, we are having top sirloin. My mouth is watering just thinking about it, which means that I may be a little tired of leftover turkey as well! California Girl Comments: The Brit is far more stoic about every meal being turkey and doesn’t complain. (He can eat Turkey curry 7 days a week – no lie.) However, I do get tired of trying to come up with things to do with the leftovers just at the point where I have used it all up. 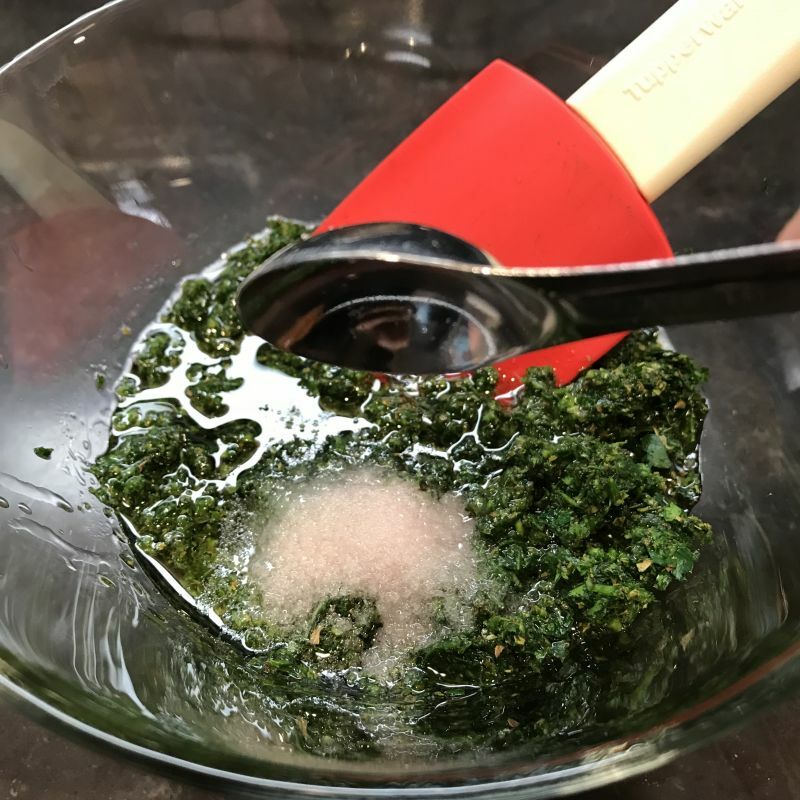 I too BBQ all year round, (without the luxury of a covered patio) and Chimichurri sauce is one of my favorite things to add to bbq beef, lamb, and pork. It’s actually very healthy, and it tastes amazing. I, of course, asked if he might send the recipe to me when he returned home. I wasn’t very hopeful because men are horrible about things like that, but when he returned home I took the chance and gave a gentle reminder to check for the recipe. That very same day, it arrived in my email! I couldn’t have been more excited! My dear friend and his sweetheart live near Disneyworld, and they go to restaurants there, as well as various events, the year ’round. 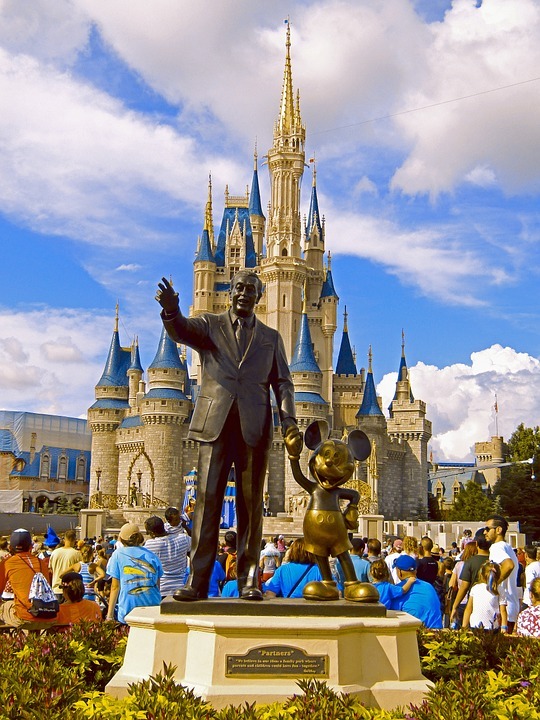 Apparently, this recipe originally came from some event at Epcot Center in Disneyworld. It may have been a restaurant there, but since I have never been to Disneyworld, I’m only guessing. I don’t know if it has been changed at all, or who the original author of the recipe is, but I wanted you to know where it originated. The recipe I am sharing with you tonight is from Anne’s recipe box. So, thank you so much, Anne….for sharing this spectacular sauce! 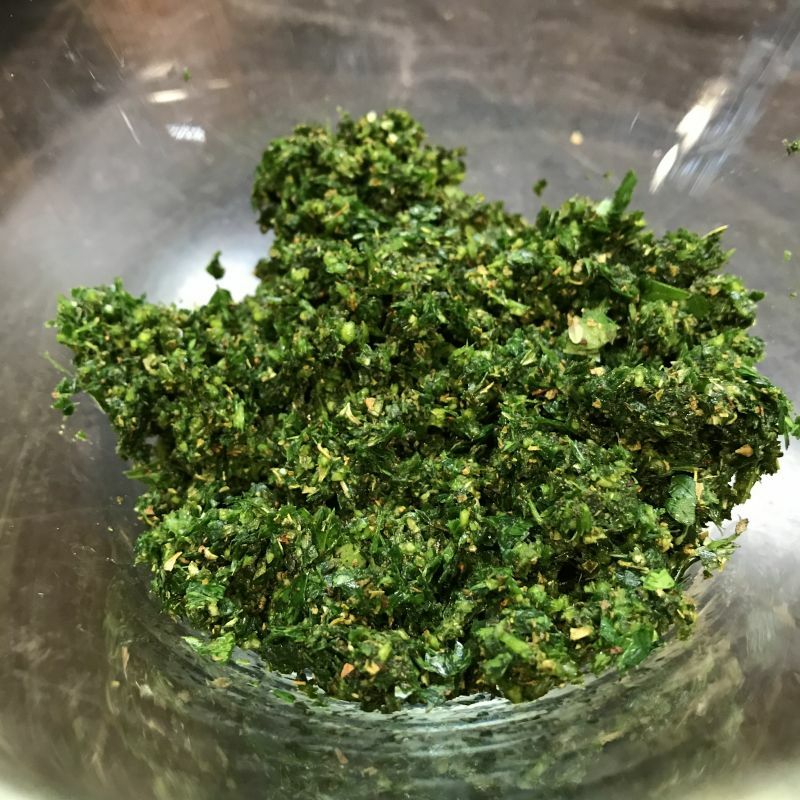 It’s called Chimichurri Sauce and is used on top of your steak….as little or as much as you like. It’s fabulous! California Girl comments: One of the things that you may not know about Chimichurri sauce is that it is a wine pairing challenge. 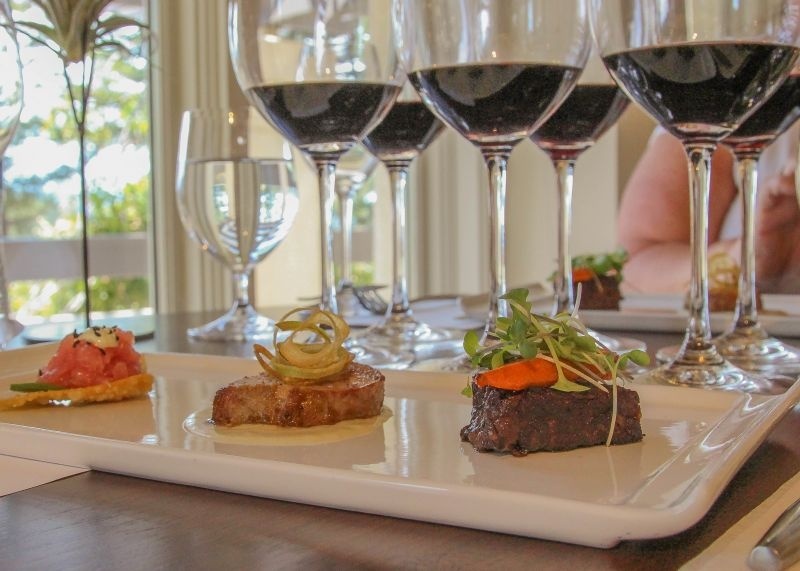 Basically, when you have strong herb flavors, it changes the flavor of wine in your mouth. For professional tasters, this is a huge no-no. How do they get around it? Well between bites of food they either sip water before drinking the wine to cleanse their palate, or they eat another bite of a non-offending part of the dish and drink the wine with that. 1. 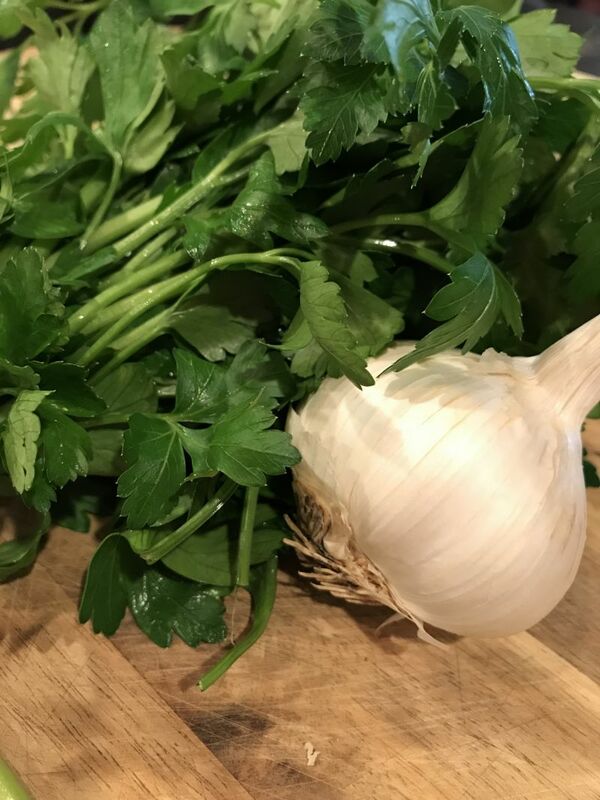 Rinse the parsley, and press with paper towels to remove the excess moisture. Cut off the stems and place the whole bunch in the food processor. 2. Add the garlic cloves and the oregano. Process until everything is very very finely chopped. 3. 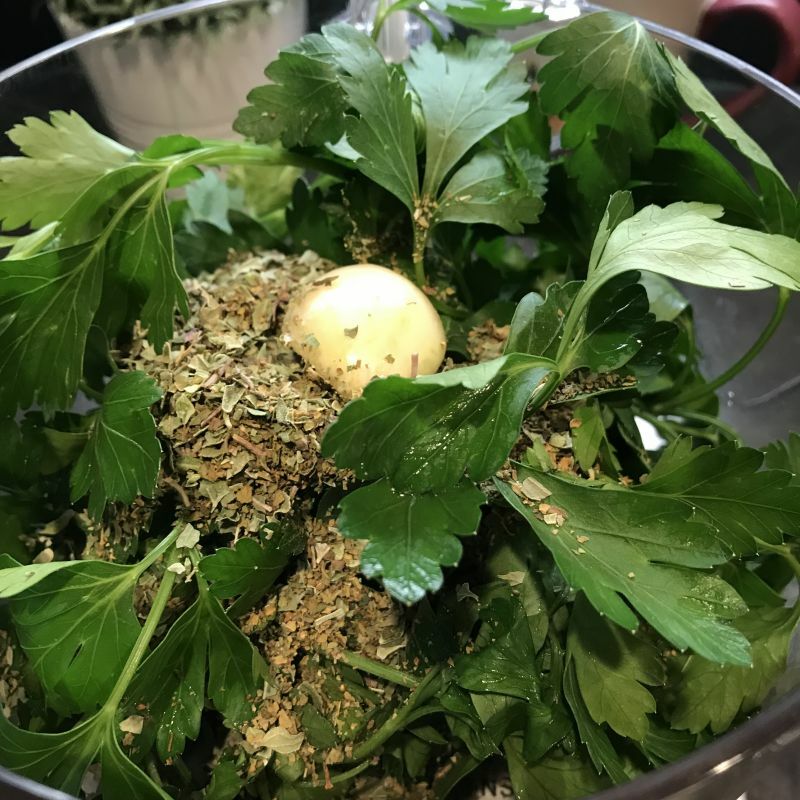 Take the parsley mixture out of the food processor and put in a bowl. Add the remaining ingredients and stir. Pour gently over your cooked meat right before serving and enjoy! *I think this is best made ahead so the flavors can meld together. Store any leftovers in the refrigerator. 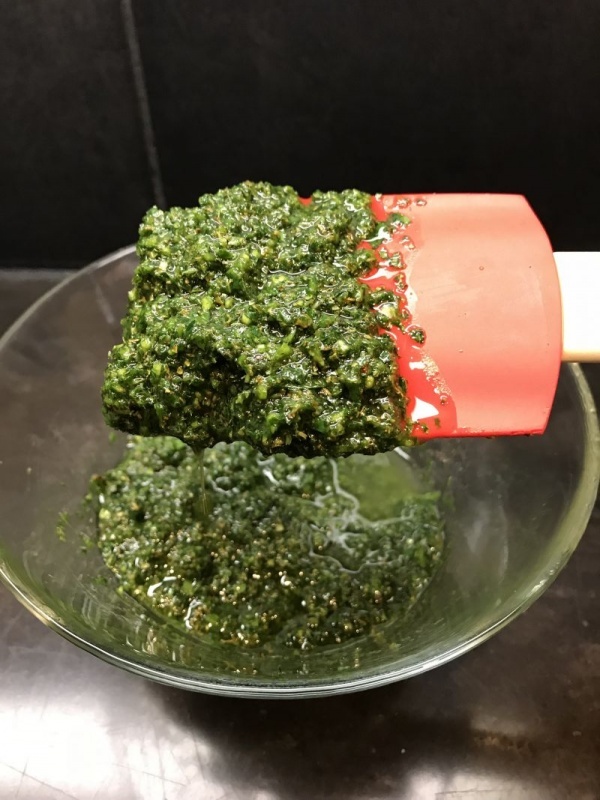 California Girl Comments: Since I already warned you about pairing your Chimichurri with wine, I thought I would make a suggestion of a wine that you can do as a no-brainer with it. 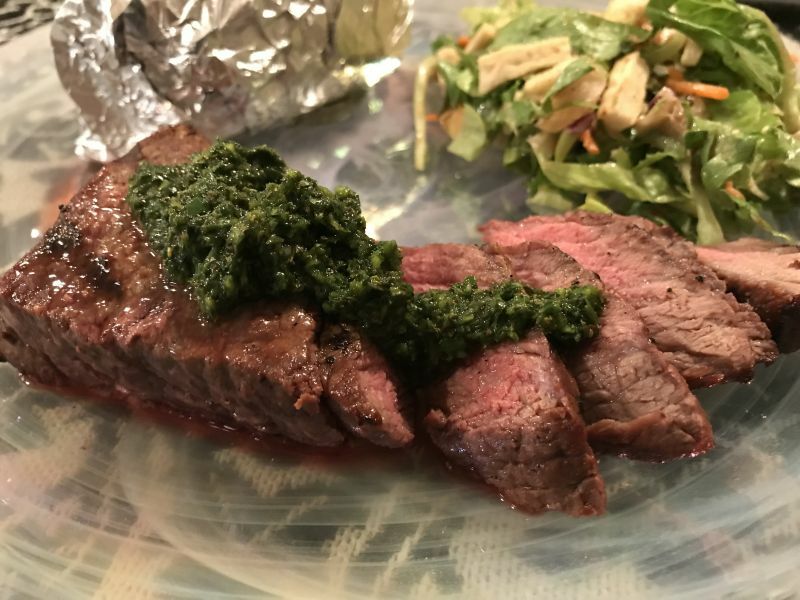 Chimichurri sauce actually hails from Argentina so it makes sense it pairs most successfully with Malbec. The spiciness in the Malbec and its strong backbone stands up to the herbs. It’s also wonderful with the barbecued beef for the win! My selection this week is: The 2013 Catena Malbec is an affordable choice at around $15.00. Cheers! 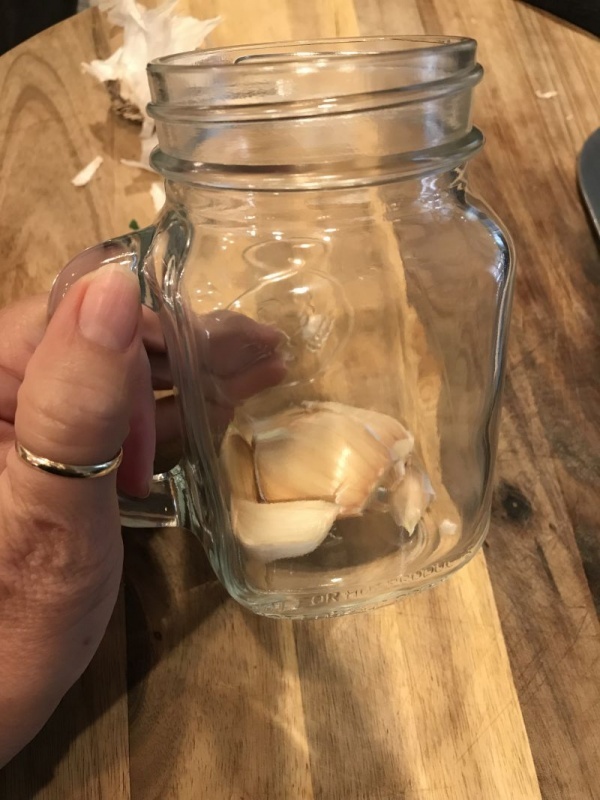 ***Here’s a trick for cleaning the garlic. 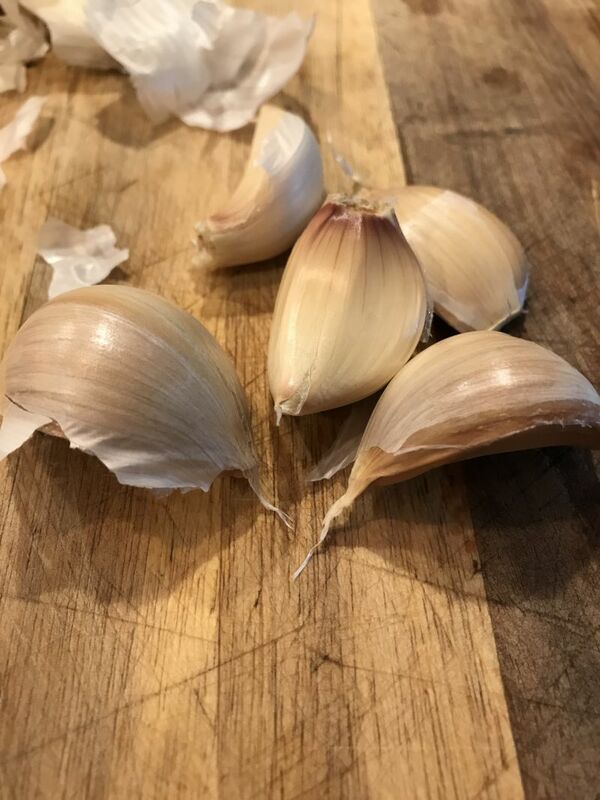 Break the cloves apart, cut the flat ends off where it attaches to the bunch and toss them in a glass jar with a lid. 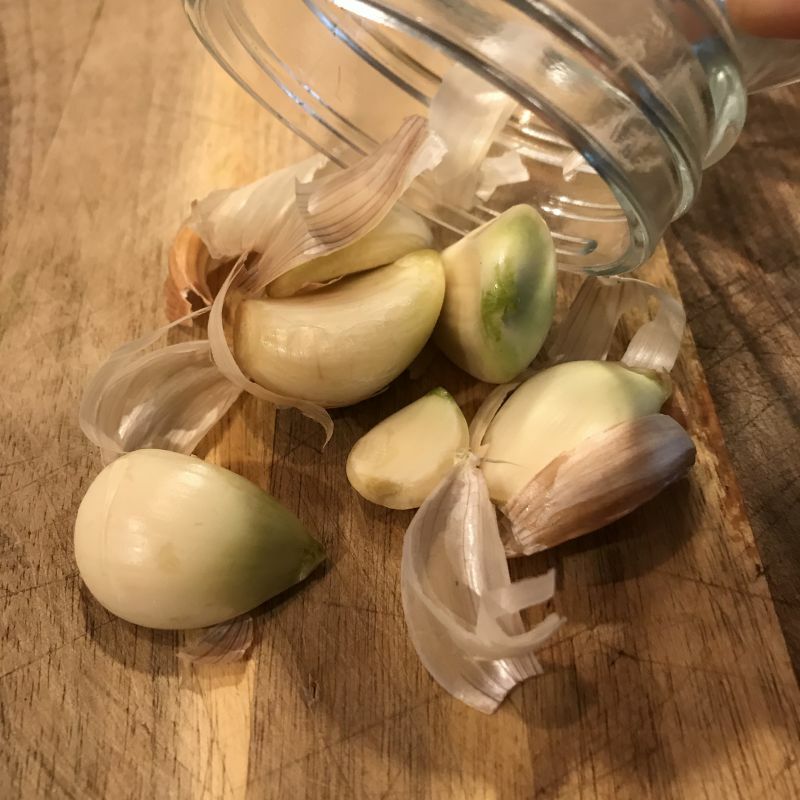 Shake the dickens out of it, and the peeling will come right off of the garlic cloves and you can just dump them out of the jar. It’s super fast and super easy! Thank you for the inspiration and recipe! You rock! I have never heard nor ever seen this sauce! Looks and sounds delicious!